Cheap flights from Milan or Venice to Puerto Rico from €339 or Mexico €399! Cheap return flights from Italy to Hawaii from just €367! Another great deal from Italy based on Star Alliance carriers today this time to beautiful Caribbean isle of Puerto Rico or to cities in Mexico. (Cancun or Mexico City). Return flights from Milan or Venice to San Juan (PR) are available from €339 or Mexico from €399. (See also our solution from Italy to Hawaii already for €367). This fare is including all taxes and fees but exluding checked luggage. Deal is based on various airlines such as Swiss, Lufthansa, Air Canada or United. You can book this Air Canada / Lufthansa promotion when traveling from 1st of November to 18th of December 2018 or 6th of January to end of June 2019. Blackout period around Christmas Holidays. Max stay 3 months. Consider to use Booking.com or Hotels.com. if you want to book your hotel in Honolulu in advance. Booking sample of Cheap flights from Milan or Venice to Puerto Rico from €339 or Mexico €399! 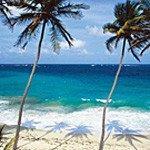 As per our booking sample you would depart from Italy to San Juan, capital of this Caribbean island on 20th of January. Inbound from this exotic holiday destination in the Caribbean Sea back to Milan Malpensa on 3rd of February 2019.